Looking "where to sell my 1976-1988 Porsche 924?" Ask the Chicago Car Club! Are you wondering "where to sell my 1976-1988 Porsche 924 ?" The Chicago Car Club is interested in classic cars of all makes and models, especially a 1976-1988 Porsche 924. 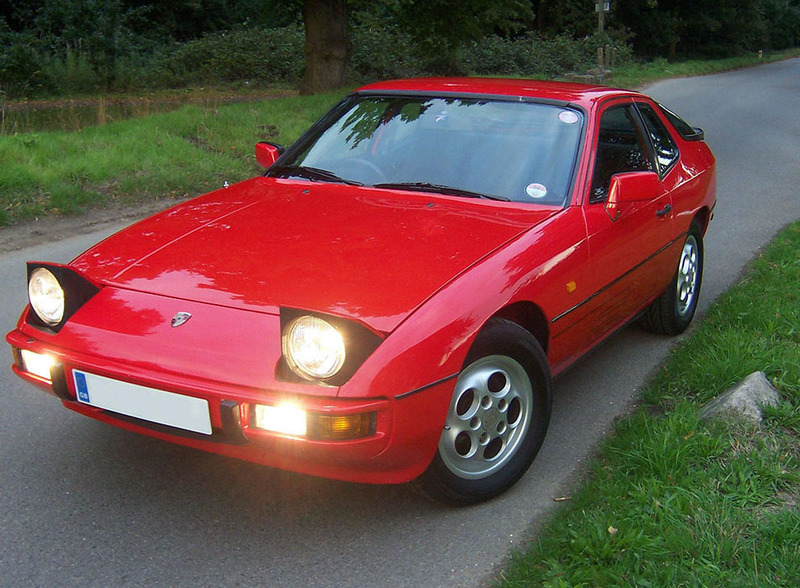 We make the process of selling your 1976-1988 Porsche 924 quick and painless. In just a matter of hours we will have your classic valued and, if you do so choose, turned into money in your pocket. All it takes is a phone call or electronic inquiry to get the ball rolling. The 924 was an entry-level sports car by German carmaker Porsche built between 1976 and 1988. It replaced the 914 and 912 cars at the bottom of Porsche’s lineup. It was a water-cooled, front engine car like the 928. It was the first car that Porsche offered with a fully automatic transmission. Porsche enthusiasts complained about the car’s lackluster performance, compared to other Porsche models. However, that did not seem to impact sales one bit. Over 150,000 were sold. It was quite a moneymaker for the company. It was built as a joint venture between Porsche and VW, built by Vertriebsgesellschaft (VG), their joint sales and marketing company. The original design project was scrapped, but when Porsche needed a 914 replacement, it bought out VW’s share of the car so it could produce it by itself. Under the hood, instead of finding a Porsche engine, you find Audi’s 2.0-liter, overhead-cam, fuel-injected four-cylinder engine, which produced 110 horsepower. A later revision gave a slight boost in compression which raised it to 115 hp. Eventually Porsche made their own turbocharged version of the engine, which was assembled in their own factory. This boosted its power to a much better 170 hp. This gave a boost in power that gave it a 0-60 mph of 8.8 seconds and a top speed of 115 mph. Despite what the 924 lacked, the one saving grace was that it was practical for the era. It had a fuel economy of 31 mpg. It also had lots of storage space, which made it a sports car that could actually bring home the groceries. It’s 2 + 2 seating came with a small back seat. It was quite uncomfortable for adults, but could hold children, which made it ok as a family car.